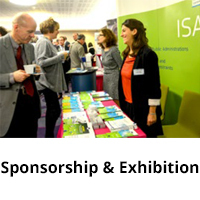 Thank you to the 250+ delegates who attended The 9th Annual European Data Protetion & Privacy Conference on 20 March in Brussels. 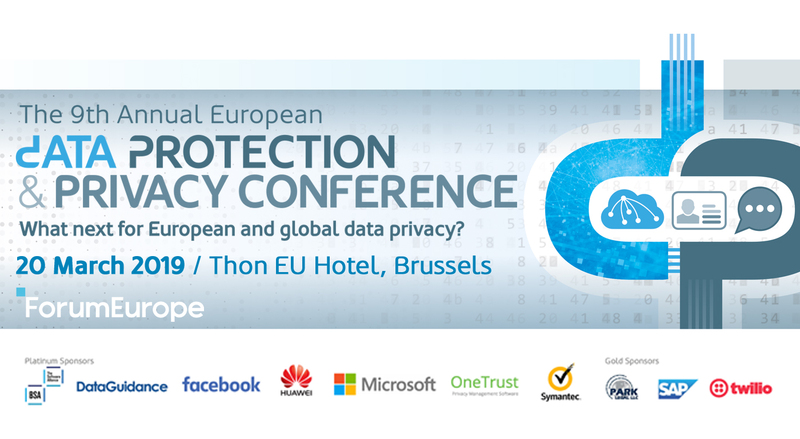 After a pivotal year for data protection and privacy in both the EU and globally in 2019, The 9th European Data Protection and Privacy Conference returned to Brussels and explored how the power of data can truly be harnessed through trust and responsible use, in order to deliver economic growth and societal benefits. It also debated how an international system based on shared principles and ethics might be developed – all in the context of increasing technological innovation, on-going regulatory discussions in the EU around digital evidence and ePrivacy, and other global political developments that either distract from or give focus to such developments. Global Data Privacy – Where next for Data Privacy Worldwide? e-Privacy - Supporting a level playing field for all market players in the digital ecosystem? Interested in becoming involved in 2020? 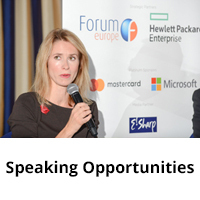 To find out more about speaking and sponsorship opportunities at the 10th edition of this event, please contact Anne-Lise Simon on anne-lise.simon@forum-europe.com / +44 (0) 2920 783 023.